This Chile Relleno Casserole is full of flavor and a family favorite. 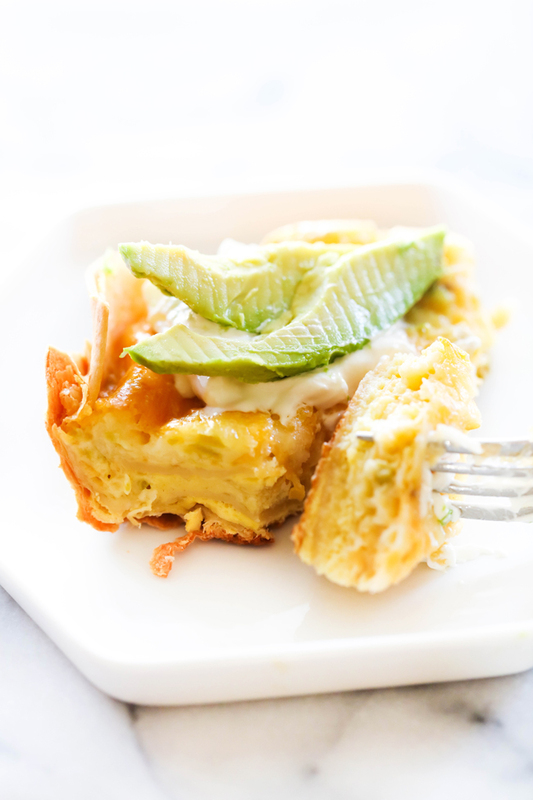 It is loaded with cheese and green chiles onto a layer of tortillas and submerged in an egg mixture. I LOVE when I make a dinner that gets approval from everyone at the dinner table. This Chile Relleno Casserole fits that bill. Traditionally, Chile Relleno Casserole is made using whole chiles but I happen to always have canned diced green chiles on hand so it makes it that much easier for me to use them. We had no leftovers of this casserole, it was THAT good! 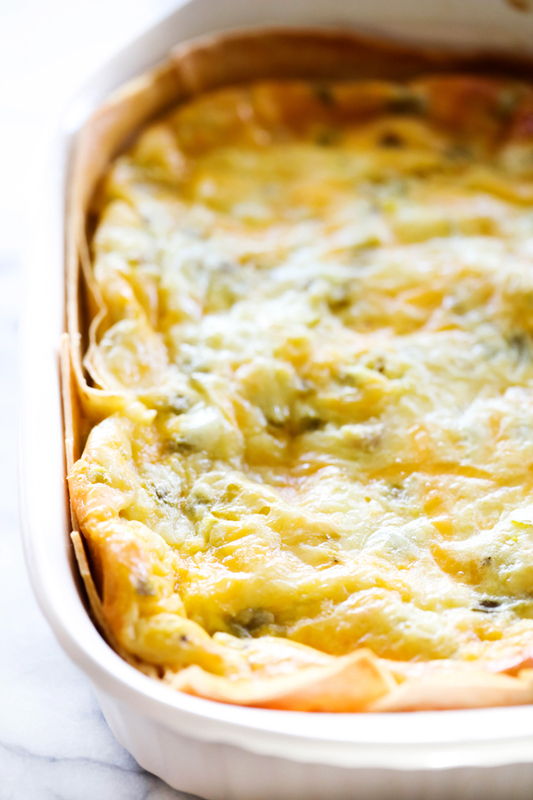 This casserole has layers of cheesy green chile goodness sandwiched between tortillas and submerged in an egg mixture. Together all of these components make one out of this world dinner that will become a new staple at the dinner table! Spray 9×13 inch baking dish with cooking spray. Place tortillas on the bottom and sides of baking dish to form a crust. It is okay if they overlap a bit. In a medium mixing bowl add eggs and whisk until frothy. Add chiles, flour, milk, salt, and dry mustard. Mix well. Stir in cheese and pour mixture into tortilla crust. Bake for 30 to 40 minutes or until eggs are cooked all the way. Serve with sour cream and avocado.